We all know that dogs can't eat chocolate, but did you know that there's actually a longgggg list of human food that pets can't eat? 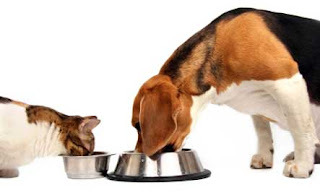 Check out the table below to read more foods that pets can't eat! If your pet consumes any of the listed foods, make sure to contact us right away. Treat your pal to the healthy and delicious VitaLife Lamb & Lentil Dog Food. This dog food is more than just kibble! Protein-rich morsels containing meat, vegetables and legumes are mixes with freeze-dried bites of meat for superior nutrition and an enhanced eating experience.